After the first meeting in Paris (France) in 2013, the second meeting in Regensburg (Germany) in 2014, the third meeting in Madrid (Spain) in 2015, the fourth meeting in Geneva (Switzerland) will be the further base for developing the cooperation among the participating companies and for upgrading the structures. Geneva is the second most populous city in Switzerland (after Zürich) and is the most populous city of Romandy, the French-speaking part of Switzerland. Situated where the Rhône exits Lake Geneva, it is the capital of the Republic and Canton of Geneva. The municipality (ville de Genève) has a population of 196,257, and the canton (which is essentially the city and its inner-ring suburbs) has 479,158 residents. In 2011, the compact agglomération franco-valdo-genevoise (Greater Geneva or Grand Genève) had 915,000 inhabitants in both – Switzerland and France (< 30mins distance). Within Swiss territory, the commuter area named “Métropole lémanique” contains a population of 1.25 million. This area is essentially spread east from Geneva towards the Riviera area (Vevey, Montreux) and north-east towards Yverdon-les-Bains, in the neighbouring canton of Vaud (< 60mins distance). Geneva was ranked as the world’s ninth most important financial centre for competitiveness by the Global Financial Centres Index, ahead of Frankfurt, and third in Europe behind London and Zurich. A 2009 survey by Mercer found that Geneva has the third-highest quality of life of any city in the world (behind Vienna and Zurich for expatriates; it is narrowly outranked by Zurich). The city has been referred to as the world’s most compact metropolis and the “Peace Capital”. 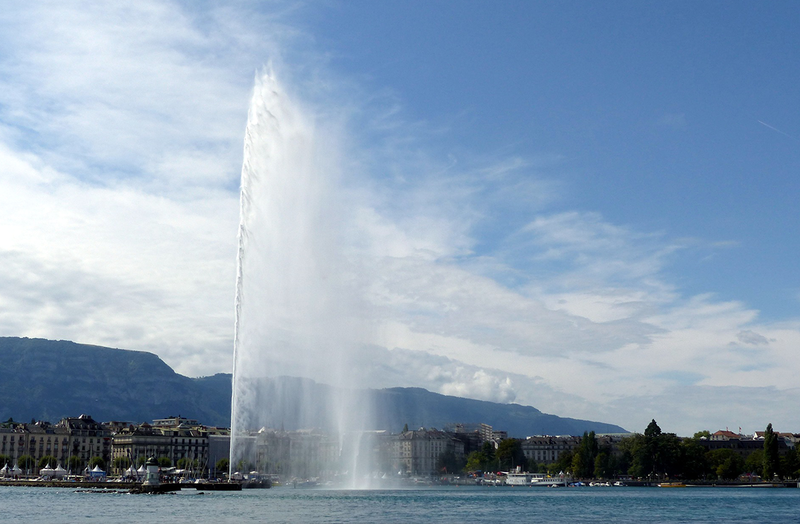 In 2009 and 2011, Geneva was ranked as, respectively, the fourth and fifth most expensive city in the world.